Improv’s Look at Celebrities and their Cars – Impressive or Ordinary? Celebrities have an affinity for luxury vehicles and many top-name personas have impressive, world-class collections. Some choose to cruise in the Aston Martin Vanquish while others prefer something more rugged like the Ford Bronco. It is fun to examine and ponder some of the more unusual car choices and collections. 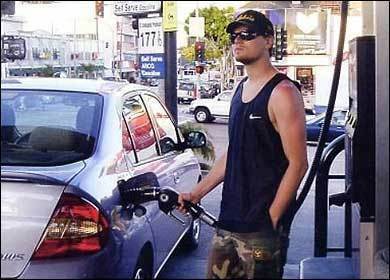 For instance, Leonardo DiCaprio values the environmentally friendly Toyota Prius and is seen driving it quite often. Given the stature of his finances this choice may seem odd. However, there is nothing wrong with social responsibility even if it is contrary to the status quo. Celebrities and their cars often surprise those that assume flamboyant vehicle choices. 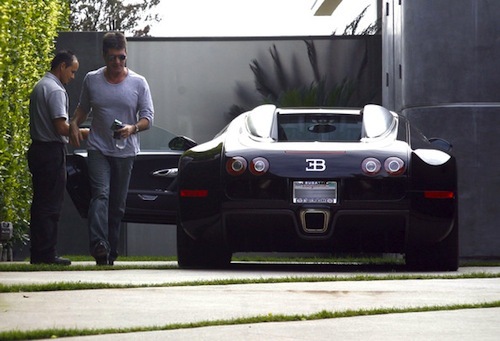 Simon Cowell sports around town in a $1 million Bugatti Veyron. This impressive machine is two-tone and has sleek features that make for a flashy ride. This X Factor judge knows quality and has not skimped on his transportation. One can view 50 Celebrities and their Cars to get a look at this luxury vehicle and those of other celebrities. 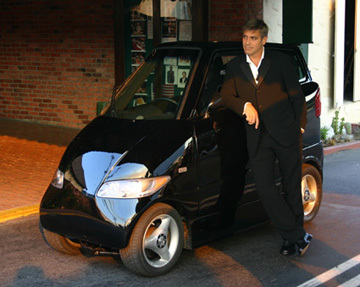 Though George Clooney is an A-list celebrity and has the money to drive whatever he wants, he’s decided to ride in the eco-friendly Tango 600. This electric two seat car is eye-catching to say the least. It makes defensive driving a little difficult given its reduced size. However, it modest features and benefits speak volumes about Clooney’s concern for the environment. 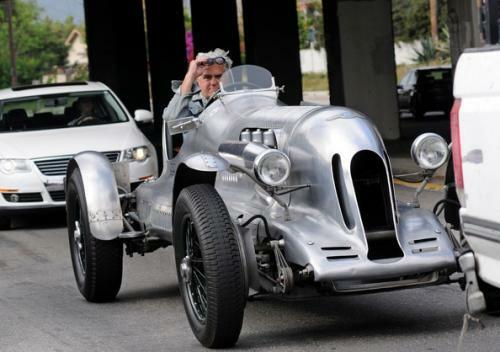 The Bentley Speed Six, Jaguar XK120M and Ariel Atom all have a home in Jay Leno’s collection. He has a variety of high-end luxury sports cars and vintage autos that make most collectors envious. It is fun to image driving down the road in the Stutz Bearcat or any of his exotic roadsters. Celebrity car collections are the stuff dreams are made of. For the well-to-do, getting from point A to point B in a stylish ride is a must. Celebrities have the funds to travel the roadways in the best auto manufacturers have to offer, and their tastes tend to be exotic in nature. Keep on the lookout for socialites driving extravagant rides.